Or will it command you? Right now, there is a code imprinted in every organ, nerve, and cell of your body. An extremely powerful code that controls what is, without question, the single most important aspect of your life. It is possible to "crack" this code. When you do, all that control transfers to you. And along with it, you gain the ability to experience an unprecedented degree of health, happiness, freedom, and personal power. But here's the thing: You can't do it from where you are right now. If you want to crack and control this code, you have to take a "journey." Theta is the brain-wave pattern of the subconscious. It's the state your mind is in when you're sleeping, and the storehouse of your deepest, most powerful ideas and beliefs. It is also the brain-wave pattern that communicates most directly and effectively with your body. Your cells are constantly acting on instructions they receive from the thoughts that reside in your theta mind. Problem is, in your ordinary, waking beta brain-wave state, you don't know what those thoughts are. Or what kind of ultimate impact they're having on your system. That explains why you can think you want to feel better... not be in pain... recover from an illness... or change a habit... yet not be able to. Something in your theta mind is contradicting that desire. And your theta mind is the one that's in charge. But all you need to do to interrupt this negative messaging is to consciously move into theta... then replace the faulty thinking with new thought files that reflect what you want your body to do. When you do, the changes happen immediately. In some cases, right before your very eyes. In her latest program The Theta Code, renowned bestselling author Asara Lovejoy teaches you how to move into the miraculous "theta zone" anytime, anywhere, using her unique, scientifically supported six-step process — and, once you're there, how to issue perfect, powerful commands that will make your body do what you consciously want it to do: conquer a health challenge, heal from an injury, lose weight, increase your energy, elevate your mood, anything! You'll also hear incredible stories of real people who have used the process you'll discover in The Theta Code to command true healing miracles. Nothing impacts your ability to truly enjoy your life and live it to the fullest as much as your health and well-being. So I urge you take this opportunity to have more control over both — and the time, energy, and money you spend on them — today and for the rest of your life. What inner wisdom has always told you, science has now proven: Your body knows how to care for and heal itself. And the key to unlocking that knowledge lies deep in your mind. Asara Lovejoy's method puts that key and all the power it governs where it really belongs: under your conscious, deliberate control. TAKE IT... and discover just how healthy, whole, and happy you're truly meant to be. Order The Theta Code today! P.S. Wouldn't you like to have more control over your health, now and moving forward? The unique process Asara Lovejoy shares in The Theta Code makes it so easy to quickly achieve and maintain vibrant well-being — naturally, without costly or frightening interventions. You can even use it to improve or eliminate conditions you may think are unchangeable! Click below to order The Theta Code for a limited-time special discount. You'll be amazed by how enjoyable and effortless the journey into theta is, and by all the ways you can transform your life once you're there! I want to learn how to command the Code and take control of my own health and well-being. 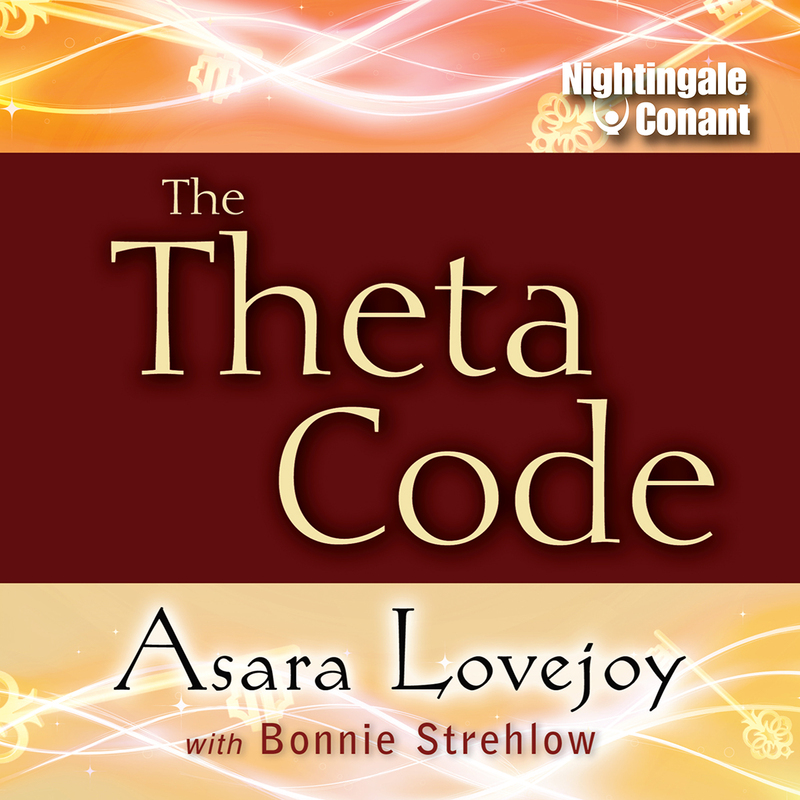 with Bonnie Strehlow's audio program The Theta Code , at the special price below. - I can select one of two ways of ordering.